Lots of learning! Lots of fun! 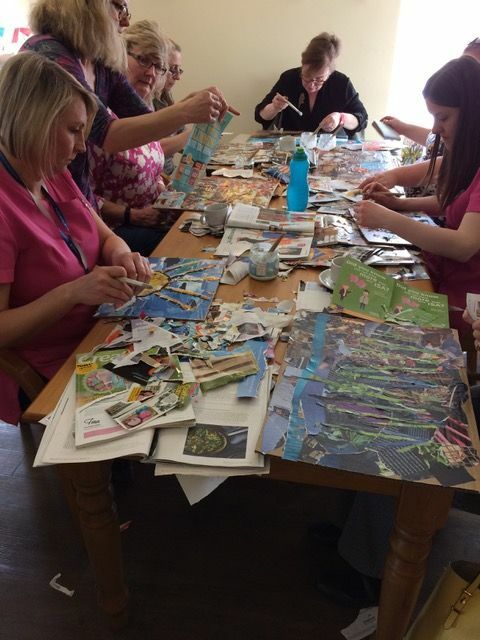 This week, Learning for the Fourth Age brought together representatives from over ten care settings for a “torn paper” workshop. 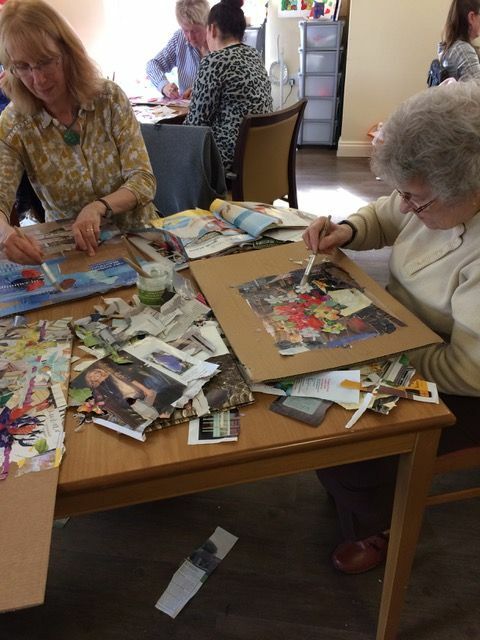 The idea was to explore a new technique that they could take back to their individual settings, adapt for their own residents and use to support older people across the city and county with creativity and art in later life. 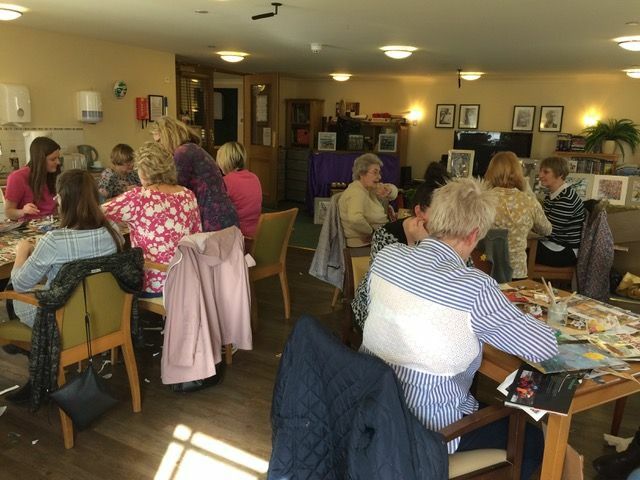 The network focuses on inspiring new ideas, developing different approaches, Ultimately, it is about bringing people together who have a shared role but often are working in silos behind the locked doors of different care settings. They can feel a sense of togetherness and camaraderie, mutual support and their own professional development. We are proud to be bringing together those with a responsibility for bringing meaning, fun & learning to the lives of older people receiving care across Leicester and Leicestershire to learn from each other. Ideas for activities are brainstormed by the L4A team and the steering group of the network. We are keen to work with and support everyone involved in this group. 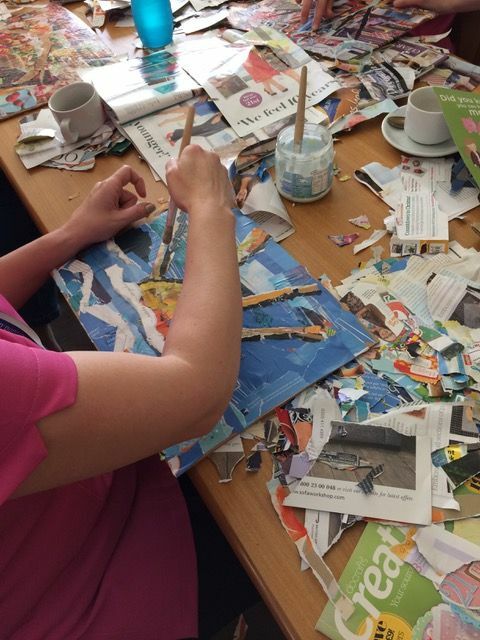 Our Activity Coordinator Network loved the Torn Paper workshop, which is kindly funded by the ExPat Foundation. 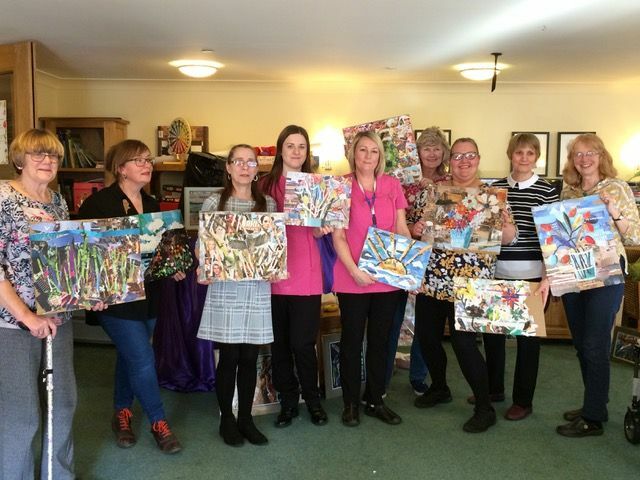 We were also hosted by South Lodge care home. If your care setting is based in Leicester and Leicestershire and you would like to get involved, please do contact Fiona Smith for more information about our future plans for the network.